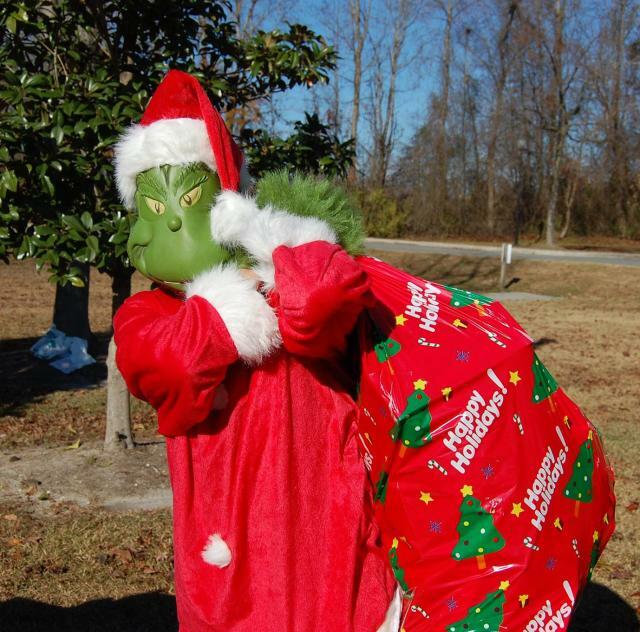 Don't be a "bad banana with a greasy black peel"... join us for our 7th Annual Grinch Stink, Stank, Stunk 5K and Jingle Bell Jog! All participants are asked to bring a new, unwrapped toy or gift card. All toys will benefit Harbor and the Jo. Co. DSS Angel Tree Project. Prizes will also be awarded for some of your favorite "Whoville" characters - so dress up and have fun! If you'd like to order a T-shirt - your registration form along with payment for the T-shirt ($15) MUST be turned in by November 16th. NO EXTRA SHIRTS WILL BE ORDERED!!! Race begins at 10:00 am; Jingle Bell Jog begins at 10:05 am.